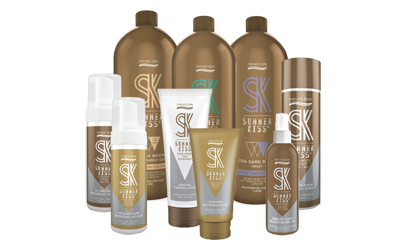 SUMMER KISS AUSTRALIAN TAN IS A COMPLETE SALON PROFESSIONAL AND HOME CARE SELF-TANNING PACKAGE. Created by Tanning Experts and Beauty Therapists after extensive research to give a natural looking, longer lasting colour. Our unique formulas consist of Organic, Natural and Botanical Ingredients to ensure your skin is highly nourished, assisting in the application and development of a deeper, longer lasting tan. 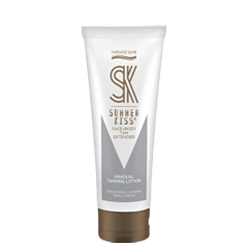 Summer Kiss’ exclusively developed formulations create a natural looking tan with an all-in-one, anti-aging, skin hydration treatment. 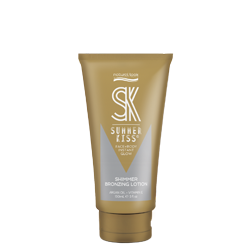 Our specially blended premium moisturising formulation provides a low maintenance, long lasting tan with superior conditioning and no sticky residue, resulting in beautifully tanned, younger looking and luxuriously soft skin.